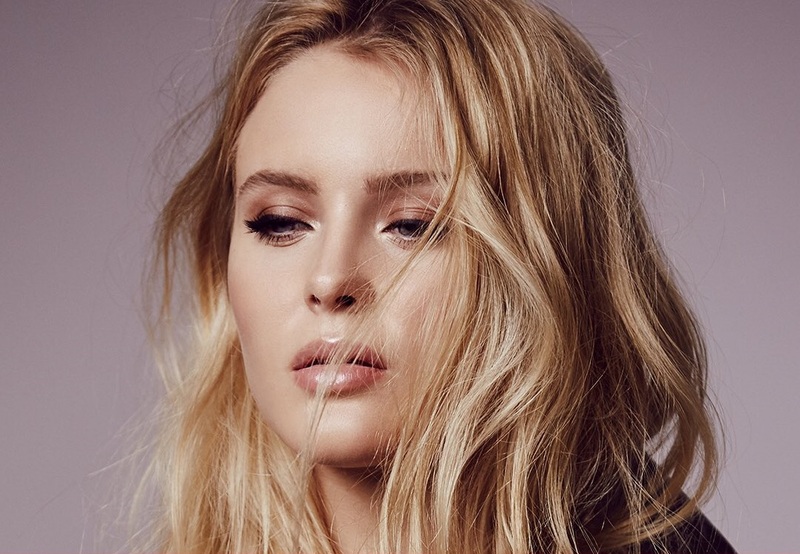 Zara Larsson has confirmed a new song title from her upcoming third album. “Ruin My Life” – which was collectively helmed by Brittany “Delacey” Amaradio, Michael Pollack, Jamie “Sermstyle” Sanderson, Jackson Foote, and The Monsters & Strangerz – is slotted for inclusion on the highly-anticipated project, which will arrive later this year via TEN Music Group / Epic Records. On the follow-up to 2017’s “So Good,” Larsson has also collaborated with songwriters including Whitney Phillips, Marlon Roudette, Dayo “Dyo” Olatunji, Max McElligott, Janee “Jin Jin” Bennett, Natalie Dunn, Erik Hassle, Caroline Ailin, Brett “Leland” McLaughlin, and Madison Emiko Love. Among the producers expected to appear on the album are MNEK, Hit Impulse, Kid Joki, Jim Lavigne, William Wiik Larsen, Jack Patterson, Electric, Rami Yacoub, Cass Lowe, Digital Farm Animals, The Futuristics, Andrew Wells, Grades, Carassius Gold, Goldfingers, Jordan Riley, and Max Martin. Stream the audio clip for “Only You” below. American singer/songwriter Sabrina Carpenter has drafted fellow recording artist Sasha Sloan for a new collaboration. Born Alexandra Yatchenko, Sloan recently co-wrote “Never Be the Same” for Camila Cabello alongside Noonie Bao and the song’s producer Adam “Frank Dukes” Feeney. The track appears on Cabello’s debut album, “Camila,” which will arrive on January 12 via Syco Music and Epic Records. In between releasing her own promotional singles “Runaway” and “Ready Yet,” Sloan has also co-penned songs for other artists including Ella Henderson (“Ugly”), Niia Rocco (“Nobody”), Alma (“Phases”), Maggie Lindemann (“Pretty Girl”), Kygo (“This Town”) and Louis Tomlinson (“Just Hold On”). Meanwhile, Carpenter’s third studio collection – featuring the Leland-penned / Jonas Jeberg-produced lead single “Why” – is expected to arrive later this year via Universal Music Group / Hollywood Records. The follow-up to 2016’s “Evolution” reportedly delivers additional alliances with Stargate, Madison Love, Brittany “Delacey” Amaradio, Nate Campany, Janee “Jin Jin” Bennett, Alex Hope, Marcus Lomax, James “JHart” Abrahart, Carassius Gold, Ross Golan, Jonas Blue, and The Futuristics. Stream the audio clip for “Runaway” below. 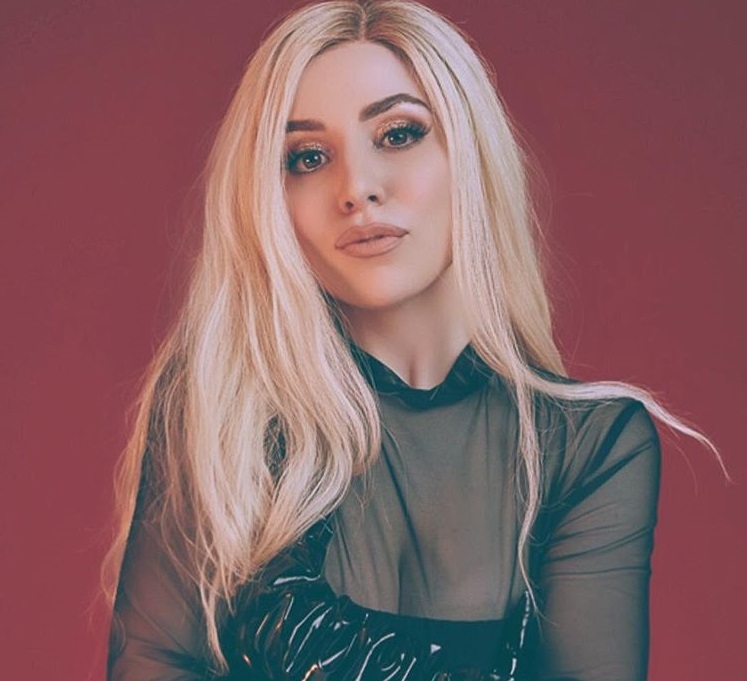 Ava Max has shared a new song online. The American singer/songwriter posted the audio clip for “Not Your Barbie Girl” to her SoundCloud channel on Friday (December 16, 2017). Having previously provided guest vocals on Le Youth’s “Clap Your Hands,” Max is expected to release her debut project early next year. The still-untitled collection reportedly boasts additional alliances with Coco Morier (Britney Spears, Demi Lovato), Autumn Rowe (Kelis, Sinead Harnett), Sarah Hudson (Dua Lipa, Katy Perry), Bonnie McKee (Nicole Scherzinger, Normani Kordei) and Koko LaRoo (Jake Miller, Charlotte Lawrence). Stream the audio clip for “Not Your Barbie Girl” below. Camila Cabello has released her new single online. “I Have Questions” is now available via iTunes, Apple Music, Amazon, Google Play, Tidal and all other digital streaming platforms. 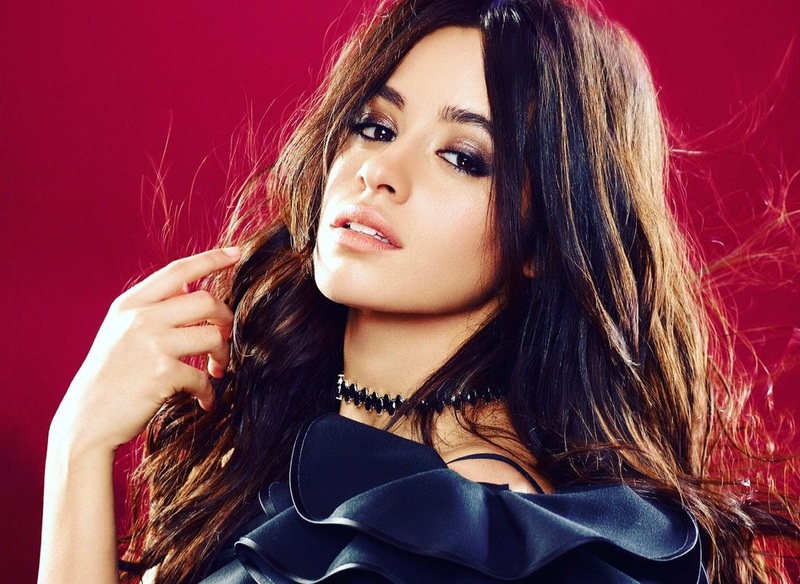 As mentioned in earlier posts, Cabello is scheduled to drop her debut album “The Hurting, the Healing, the Loving” – featuring previous single “Cyring in the Club” – later this year via Syco Music / Epic Records. The highly-anticipated collection boasts further songwriting contributions from Sia Furler (Britney Spears), Charli XCX (RAYE), Noonie Bao (Dua Lipa), Sasha Sloan (Anne-Marie), Madison Love (Jason Derulo), Savan Kotecha (Ariana Grande), Rickard Goransson (Nick Jonas) and Billy Walsh (Alicia Keys). Album producers include Pharrell Williams (Ciara), Benny Blanco (Ed Sheeran), Ryan Tedder (Kesha), Happy Perez (Frank Ocean), Cashmere Cat (Halsey), Andrew “Pop” Wansel (Chris Brown), Frank Dukes (Lorde), Max Martin (Katy Perry), Ilya Salmanzadeh (Skip Marley) and Stargate (Tiwa Savage). Stream the audio clip for “I Have Questions” below. Camila Cabello has confirmed the title for her upcoming debut solo album. The Cuban-born American singer/songwriter christened her first studio collection “The Hurting, the Healing, the Loving” and will release it later this year via Sony Music Entertainment / Epic Records. The yet-to-be-announced first single is scheduled to arrive on May 19 via iTunes, Apple Music, Amazon, Google Play, Tidal and all other digital streaming platforms. Among the producers expected to appear on “The Hurting, the Healing, the Loving.” are Pharrell Williams (Ariana Grande), Ryan Tedder (Hailee Steinfeld), Frank Dukes (Zayn Malik), Andrew “Pop” Wansel (Kehlani), Max Martin (Katy Perry), Ilya Salmanzadeh (Jennifer Lopez) and Stargate (Rihanna). On the songwriting front, Cabello has teamed up with Charli XCX (Rita Ora), Noonie Bao (Carly Rae Jepsen), Sasha Sloan (Louis Tomlinson), Madison Love (Jason Derulo), Bibi Bourelly (Selena Gomez), Savan Kotecha (Tori Kelly), Rickard Goransson (Nick Jonas) and Billy Walsh (The Weeknd). 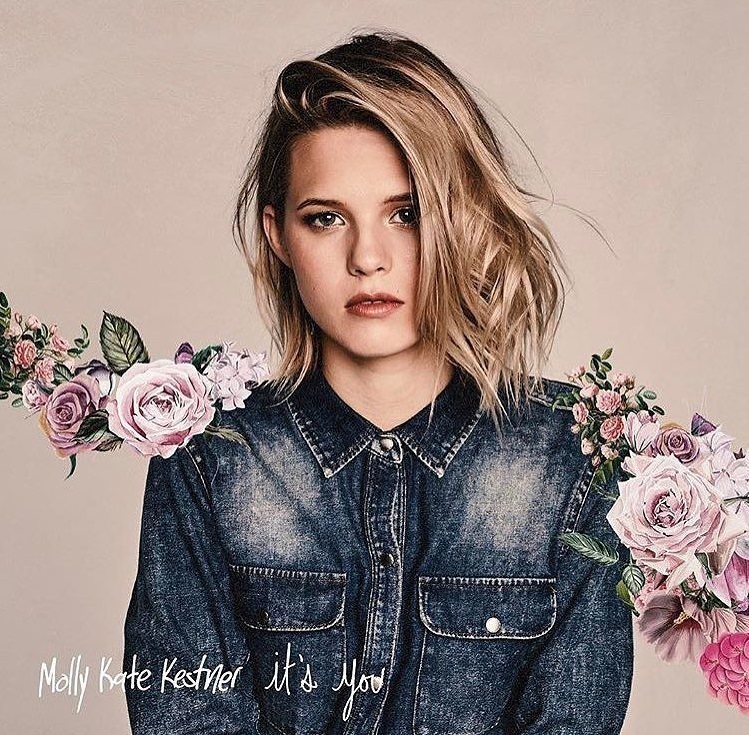 Molly Kate Kestner has liberated her new single online. “It’s You” is now available via iTunes, Apple Music, Amazon, Google Play, Tidal and all other digital streaming platforms. The track was written by Kestner alongside Andrew Jackson (RAYE, Ellie Goulding) and Adam Argyle (Dua Lipa, Ella Henderson). Production duties on “It’s You” were collectively handled by Ryan Tedder (Hailee Steinfeld, Colbie Caillat) and Nick Ruth (Kelly Clarkson, Carly Rae Jepsen). As mentioned in earlier posts, Kestner is expected to release her debut project – featuring previous singles “His Daughter,” “Good Die Young” and “Prom Queen” – later this year via Artist Partner Group / Atlantic Records. The still-untitled collection reportedly boasts further productions from Toby Gad (Alicia Keys), Francis “Eg” White (Sam Smith), David Hodges (Christina Perri), Michael “BloodPop” Tucker (Lady GaGa), Dan McDougall (Norma Jean Martine) and Andrew Cedar (Charlie Puth). 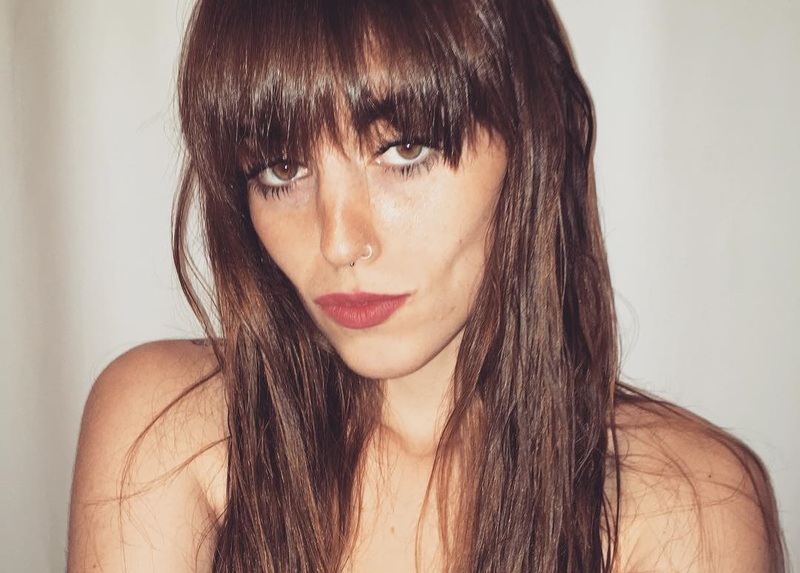 On the songwriting front, Kestner has worked with Autumn Rowe (Becky Hill), Emily Warren (Shawn Mendes), Amy Wadge (Ed Sheeran), Lauren Christy (Keri Hilson), Sasha Sloan (Anne-Marie), James “JHart” Abrahart (Keith Urban) and Madison Emiko Love (Camila Cabello). Listen to the audio clip for “It’s You” below. Camila Cabello has tapped the songwriting services of Charli XCX for her upcoming debut album. The British singer/songwriter – born Charlotte Aitchison – previously co-penned songs for Neon Jungle (“So Alive”), Ryn Weaver (“OctaHate”), James Blunt (“When I Find Love Again”), Selena Gomez (“Same Old Love”), RAYE (“I, U, Us”), AlunaGeorge (“Jealous”), MØ (“Drum”), Blondie (“Gravity”), Gwen Stefani (“Hell Yeah Baby”) and Ricky Reed (“Joan of Arc”). XCX’s latest mixtape “Number 1 Angel” – featuring 10 songs including “Dreamer,” “Blame it On You,” “Roll with Me,” “Emotional,” “ILY2,” “White Roses,” “Babygirl” and “Ligpgloss” – is now available via iTunes, Apple Music, Amazon, Google Play, Tidal and all other digital streaming platforms. Meanwhile, Cabello’s first studio collection will arrive later this year via Sony Music Entertainment / Epic Records. The still-untitled project reportedly delivers further songwriting contributions from Sasha Sloan (Louis Tomlinson), Madison Emiko Love (Skip Marley), Noonie Bao (Carly Rae Jepsen), Simon Wilcox (Demi Lovato), PartyNextDoor (Zayn Malik), Billy Walsh (Alicia Keys) and Savan Kotecha (Tori Kelly). Stream Charli XCX’s “Number 1 Angel” below.